By Melissa Lennig on March 25, 2015 8 Comments. This content contains affiliate links. As an Amazon Associate I earn from qualifying purchases. When my first son was born, I decided to “clean up” our laundry routine. I couldn’t believe how many chemicals commercial dryer sheets contained, so naturally, that was the first item I eliminated. For a while, we didn’t use anything in our dryer, but then I learned about wool dryer balls while visiting a natural parenting store. I was immediately smitten with them, but not the expensive price tag! 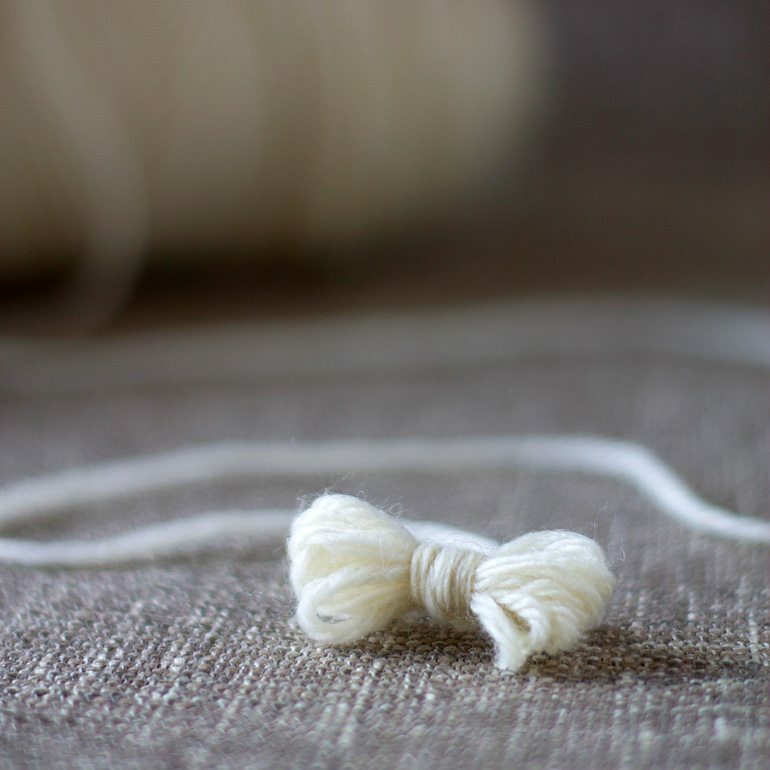 As a knitter, I had an expansive collection of yarn at home. I grabbed some 100% wool yarn out of my basket and made my own. 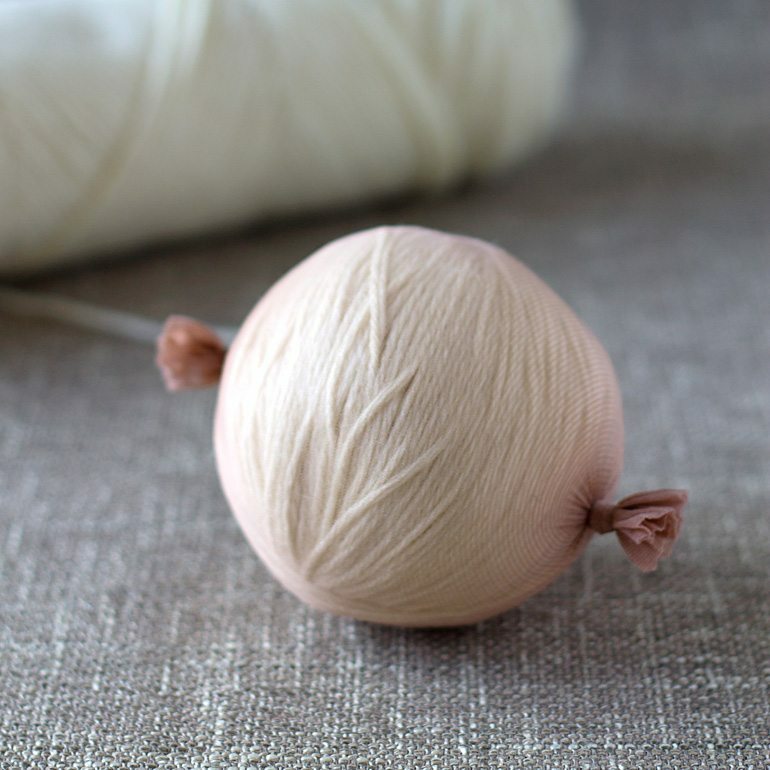 Read on to learn how to make wool dryer balls to soften clothes and speed drying time, naturally. I will also share my favorite natural laundry tips and tricks! I used to use dryer sheets (for scent and static cling reduction) and little blue spiky balls (to speed drying time) in the dryer. After my son was born and we began cloth diapering, I learned that dryer sheets could actually ruin my diapers! (The chemical residue sticks to the drum of the dryer. That residue will transfer to tumbling diapers and reduce their ability to absorb liquid.) I had just spent a small fortune on our diaper stash and wanted them to last through another child—there was no way dryer sheets were making their way into our laundry routine ever again! I wiped down the dryer with vinegar and researched other options. Wool dryer balls greatly reduce the time clothes need to spend in the dryer because they bounce around and separate the laundry. The separation they provide allows warm air to circulate around the clothes, decreasing the time clothes need to be in the dryer—easier on your clothes and the environment! Wool dryer balls are reusable, so they are also easier on your wallet! And thankfully, they are chemical-free! 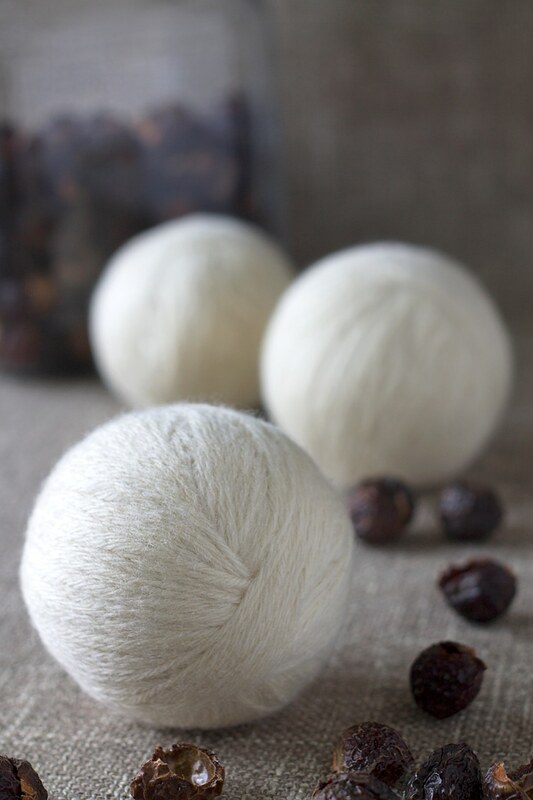 Using Wool Dryer Balls is easy! Simply place 3 dryer balls into the dryer with your wet load of laundry—they will do the rest! I love to splash a few drops of my favorite essential oil onto each ball. 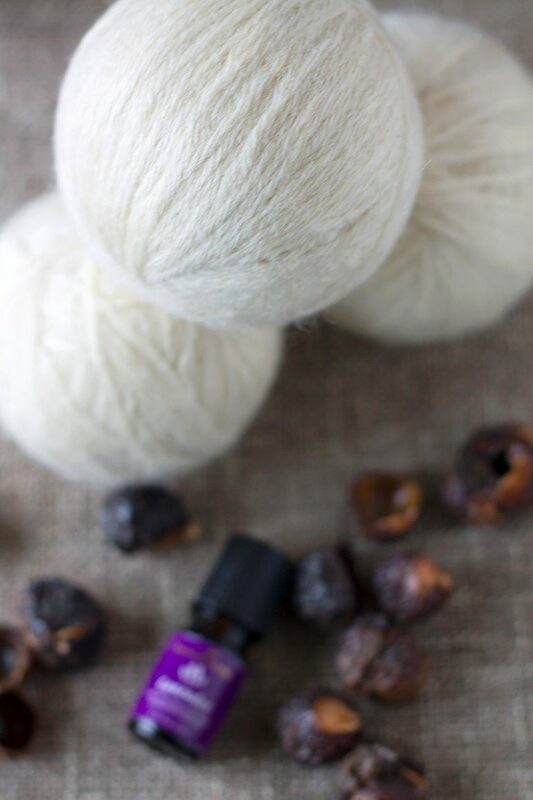 The essential oil freshens our laundry and smells amazing. I usually use Lavender essential oil. Its soothing scent is perfect for bedding and clothes, plus it deodorizes and freshens laundry. 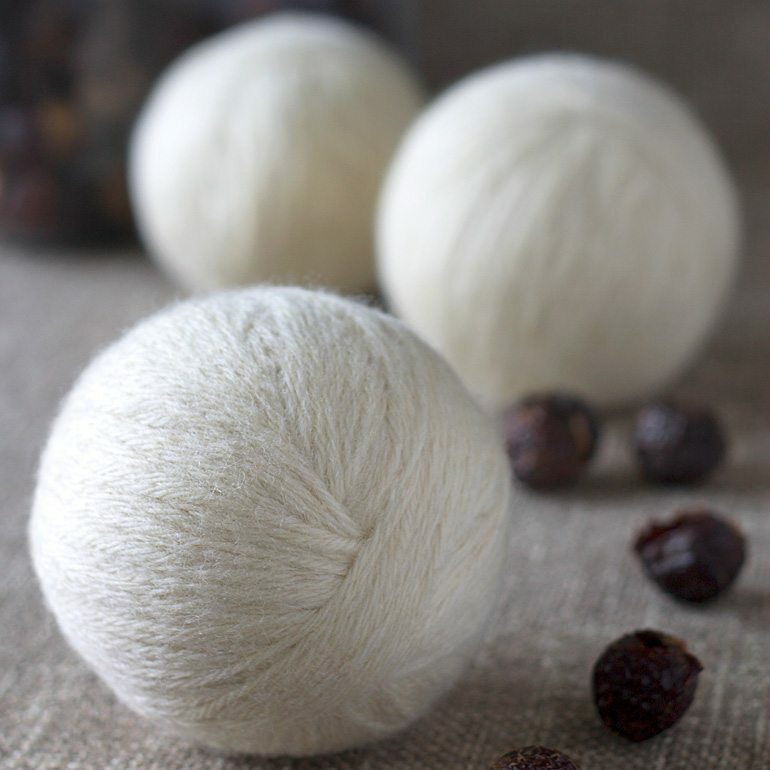 Making wool dryer balls is easy and frugal. I was able to get 3 wool dryer balls from the skein of yarn I purchased. 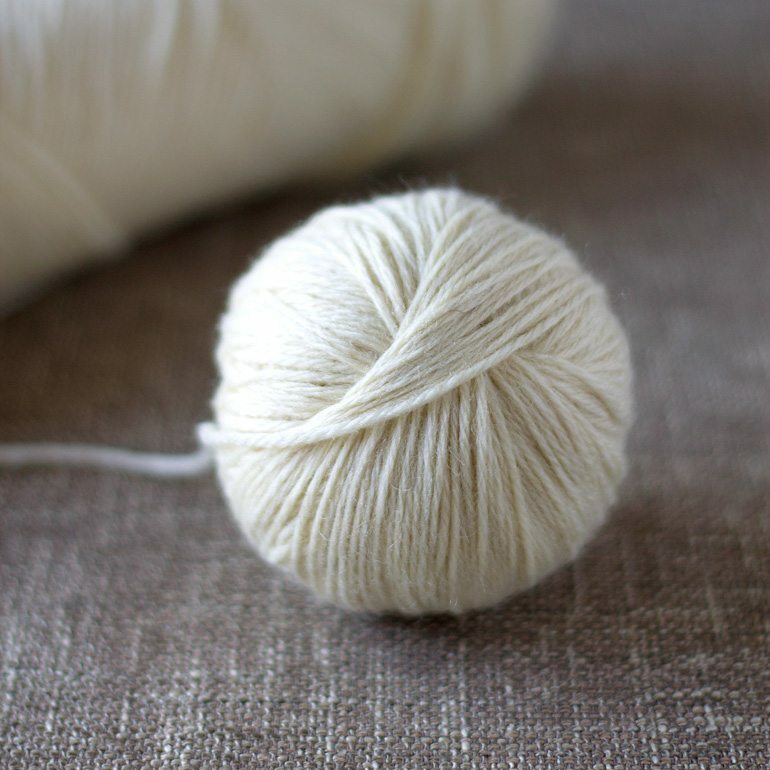 Begin by winding your 100% wool yarn into a ball. You’ll want to make a ball a little larger than your fist. Keep on winding! Drop it into a load of towels and wash on hot. 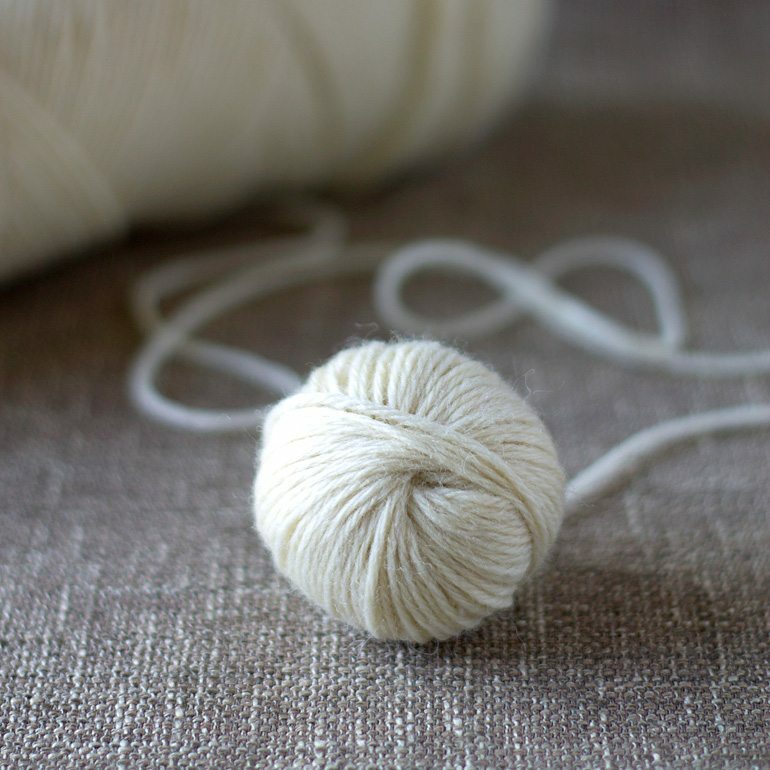 The wool yarn will shrink and felt in the wash, making it ready to use in the dryer. (I always keep it in the pantyhose for the first run in the dryer.) Remove the pantyhose and tada! You are now ready to be a clean, green, eco-drying machine! 1. Line-dry your clothes if possible. The sun bleaches stains and sanitizes your laundry while the fresh air makes them smell great. 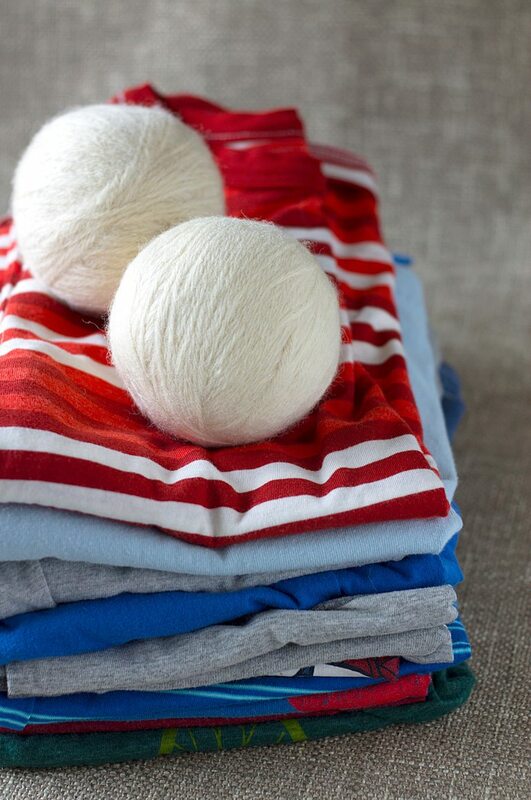 If you can’t get your clothes outside, consider ditching the dryer sheets and switching to 100% wool dryer balls. 2. Use essential oils to freshen laundry. I used to drop Tea Tree oil into my cloth diaper load to help clean and disinfect the diapers. Now I use Lavender essential oil to freshen clothes in the dryer. 3. Try using Soap Nuts! Soap Nuts are dried shells of the soapberry (a fruit). They contain saponin—a highly effective cleaning agent. Soap Nuts have a very low cost/load and are natural, chemical-free, and compostable! 4. For difficult stains, I depend on Bi-O-Kleen Bac-Out Stain and Odor Eliminator. This stuff works on all kinds of nasty! I also use Lemon essential oil directly on grease stains—works like a charm! 5. Wipe out your washer and dryer with white vinegar to clean and disinfect. I leave my washer door open between loads so it can dry thoroughly. After we began eliminating chemicals from our laundry, I noticed that I suffered from fewer headaches. That, and knowing the clothes touching my boys’ skin were safe and clean made me feel very happy! I have used soapnuts (NaturOli brand even!) and put white vinegar into the fabric softener cup. I couldn’t get the Bi-o-kleen link to work. Currently for stain remover, I use a spray bottle of 2 parts Dawn dish detergent and 1 part hydrogen peroxide. Thanks for the drier ball instructions and pictures. 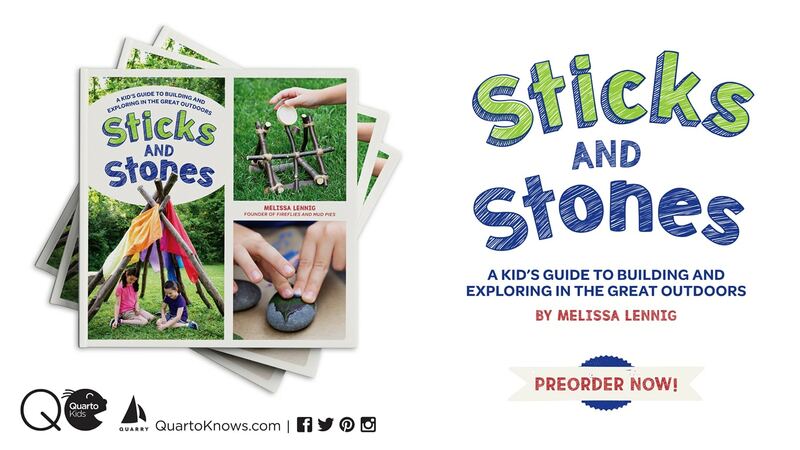 I use those blue spiky balls (when they haven’t rolled off) — but think making my own would be great fun! I haven’t tried soap nuts yet. Do they work well for cloth diapers too? Thank you for these great tips. I need to make some dryer balls asap! When we cloth diapered, I hadn’t discovered Soap Nuts yet! I have read that they are safe to use with cloth diapers. Thanks for the step-by-step instructions. I’ve seen these before, but wasn’t sure how they worked. How long do they last? Ours lasted several years before I decided to make new ones. Of course they don’t stay as pretty! They will pill and stuff. I LOVE line drying my clothes…just wish I could do it all year round! I noticed you use white vinegar to clean your washer drum. I actually found that if you put 1/4-1 cup depending on load size in the rinse cycle it will act as a fabric softener, save $ & clean the drum all at the same time! Thanks for the tip to use a wool dryer ball. I think that would save you the hassle and money of having to purchase dryer sheets. It would also be nice and easy to simply leave the dryer ball in the dryer at all times.